A private elevator opens to a world of fine finishes and stunning delaware river views at this almost 4,000-square-foot waterview place residence. Step into the entry foyer to get your first taste of the carefully chosen custom elements that shine throughout this floor-through home. Laser-cut, double-leaf, arched entry gates created by a palm beach foundry artfully divide the foyer from the main living area. The foyer flooring is timeless italian limestone and hand-finished, custom-made door hinges and hardware trim the coat closet doors and most other doors in this residence; all is lit by soft cove lighting, an element carried through to the living and dining areas. Inside, the river views are dramatic; step outside to the full-length terrace and experience how soothing the sound of the water is. The open floor plan creates a living/dining area grand in scale. Finished in medium-toned southern chestnut wood flooring, these spaces are designed for entertaining. A gas fireplace with antique mantle is adjacent to a hidden wet bar with walker zanger mosaic tile backsplash. The dining and living rooms open to the terrace which is large enough for several seating areas as well as a grill or outdoor kitchen. Pocket doors in the dining room open to reveal a sun-filled kitchen with windows that offer both north and south river views. Perhaps the resident bald eagle will do a fly-by as you enjoy your morning coffee. Note the biedermeier design influence in the kitchen~s custom cherry and bird~s eye maple cabinetry, all topped with quartz countertops and above-cabinet lighting. Dacor double ovens, dacor 5-burner gas cooktop with downdraft, viking refrigeration and an asko dishwasher are ready for everyday and special-occasion service. Two spacious guest bedrooms, a full hall bath finished with floor-to-ceiling walker zanger tile, a soaking tub and separate shower and a laundry room are situated at this end of the residence. Through the hall past the powder room and closet storage is a library whose design and craftsmanship won a prestigious coty (contractor of the year) award from nari. Paneled in rich lyptus wood, a hybrid of eucalyptus and mahogany, with substantial crown moldings, a tray ceiling with cork insets, built-ins with custom lighting and carefully integrated audio-visual components, this room feels like a private club. Just beyond is the spacious main bedroom suite, where a clever design approach created a main suite bath with ~his and her~ privacy. The bath is finished in italian limestone with an oversized walk-in shower, infinity slipper-back massage tub, two water closets, two vanities, custom maple cabinetry and a dream closet and dressing room lined with built-ins. 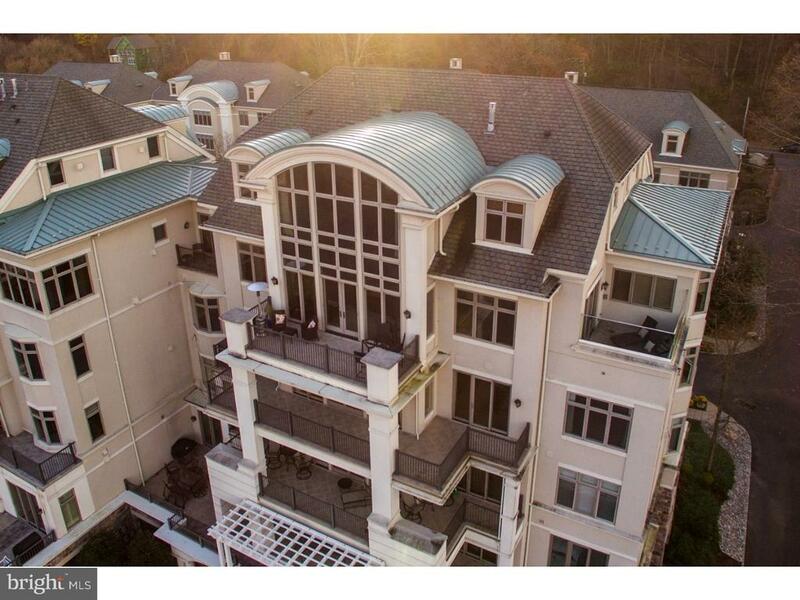 Waterview place is new hope~s only luxury waterfront condominium community, and this residence is offered for the first time. 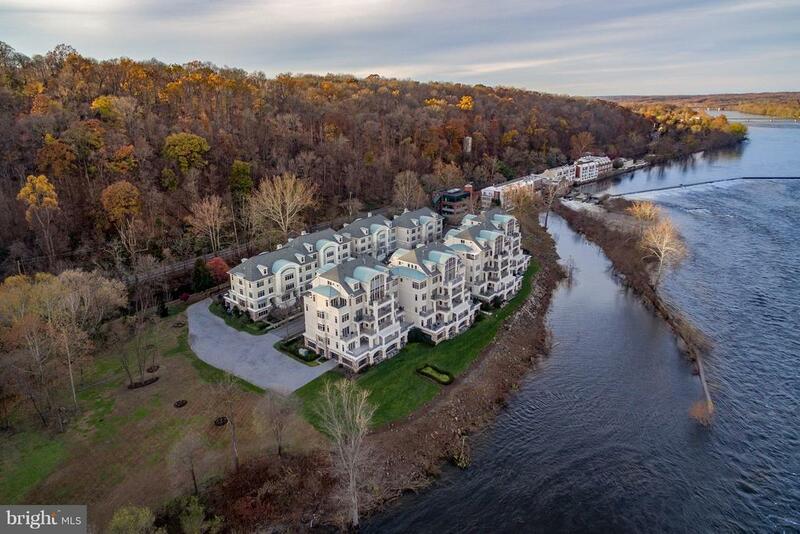 Enjoy turnkey living, with secure garage parking, plenty of additional parking for guests, easy access to the canal towpath and a quick drive to i-95 to reach princeton, new york or philadelphia. Just a few minutes drive from new hope is an elegant and expansive estate home that is both impressive and completely comfortable. 3. 31 acres of breathtaking landscape is then joined by 10 acres of protected common area. Acres of walking trails through the woods surround a sparkling pond. Imagine a warm afternoon walking along the trails and then stopping to watching the swans float across the reflective water they help to keep as smooth as glass. Inside is a dramatic entry foyer with a stunning 21 arm chandelier (on lift), marble floor with medallion marble inlay and curving staircase. The dining room entrance is flanked by architectural columns that have had a remarkable history and also features a gracefully curved tray ceiling and the beautiful hardwood floors found throughout most of the main floor. Accessed through glass french doors is the living room with gas fireplace and bay window and that gorgeous long distance view. The kitchen is huge and a counter for casual dining runs nearly the full length. Featuring thoughtful design and expansive cabinetry the kitchen is open to the breakfast area and family room. A wood burning fireplace and walls of windows taking advantage of the view creates the coziest atmosphere. Additionally the kitchen opens to the new red cedar deck with multiple levels. The first floor master suite with sitting room and luxurious master bath features tray ceiling and double walk in closets with custom organizers. On the opposite side of the house is a second suite just right for in-law or au pair. A very spacious room with full bath, it could make a wonderful home office having its own entrance. A butler pantry, handsomely appointed study, laundry/mudroom and powder room complete the extensive first floor. Upstairs is another suite with window seating to enjoy the glorious view and a full bath. A fourth bedroom shares an impressively appointed jack and jill bath with a striking fifth bedroom with gabled ceilings. The fourth bedroom has a secret! Down a short back hallway is a fabulous bonus room with extra insulation for sound proofing and rear steps to the kitchen. The handsome finished basement has a wide open room for games and parties and a separate media room for movies. Generac whole house generator, newer hvac and digital water treatment system, tankless water heater, whole house surge protector, humidifier, electronic air filtration system and more all on the most remarkable property in the best location!